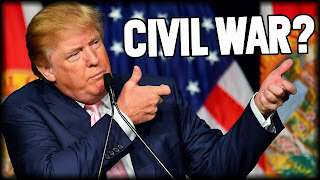 The Ostroy Report: Is DonaldTrump Planning a Civil War? It’s not a stretch to say it appears Donald Trump remains enamored by the Confederacy and the racist imagery and passion it arouses. Further, he’s continued to rile his angry white base with racially-tinged rhetoric and dog whistles. So is this behavior merely incoherent, random emotional rantings or part of some master plan to provoke a civil war in the event he’s indicted, impeached and/or removed from office through invocation of the 25th Amendment? It sure as hell seems like the latter. “They’re taking away your president! Who YOU voted for! Who promised to give you back the America you love and which has forgotten you! The fake news media has created all these fake scandals about me and Russia. And special investigator Robert Mueller’s witch hunt is all too happy to drum up fake charges over them. And those losers in Congress, Mitch McConnell and Paul Ryan, are playing along with the failing Democrats to protect their own interests and grab even more power. And it’s YOU who loses! I told you the deck was stacked against you. I told you you’re getting screwed. And I promised to make your lives great again. But they’re stopping me. They’re trying to throw me out of office! It’s shocking and un-American! Are YOU gonna let them do that!? Are YOU gonna let them steal your vote?! WHO’S YOUR PRESIDENT!!?? (crowd chants “TRUMP!”). WHO’S YOUR PRESIDENT!? (”TRUMP! !”) AND WHO’S GONNA STAY PRESIDENT!? (”TRUMP!!”). So are you ANGRY!? (”YEAH! !”) And whattya gonna do about it?! You gonna FIGHT for your vote? You gonna FIGHT to keep what’s yours?! You gonna FIGHT for your president?!! Defend yourselves! Protect your rights! Do you hear me? Do you know what I mean? ?” USA! USA! USA! The case is already being made by Trump surrogates who warn of violent outbreaks if his presidency is threatened. Televangelist Jim Bakker predicted an historic revolt by Christians if there are attempts to remove Trump from office. "If it happens, there will be a civil war in the United States of America,” Bakker told his TV audience. “The Christians will finally come out of the shadows, because we are going to be shut up permanently if we're not careful." And Trump believes this is all true, which is why he continues to stoke the flames of rage and racism. Make no mistake: he’s doing so with precision and calculation. This is not a coincidence. He knows Congress, Mueller and the Feds are closing in. He knows the end is near, which is why he’s desperately and relentlessly trying to distract, deny and discredit Mueller, the intelligence community, the media and even his Congressional Republican leadership. He’s panicked. And when Trump panics, nothing else matters. Certainly not the safety and security of America. 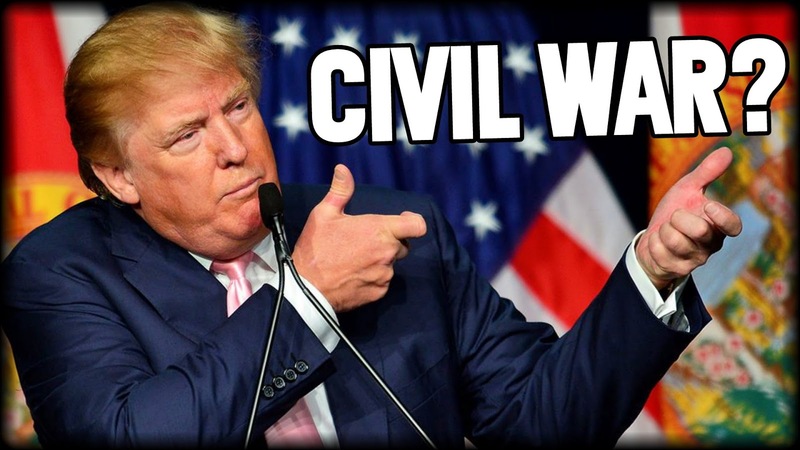 I think we already know that Trump’s rabid base would indeed still support him even if he starts shooting people in the street. The bigger question is, would they take to the streets for him?